The Forestry Commission have now set up a pay-by phone service. The pay by credit card facility for the machine is still not working. For those camping for a number of nights there is the option to pay for your camping and parking by credit card over the phone. The number for this is 0300 067 4480 – Monday – Friday 9am – 4pm. Please leave a message if you are calling out of hours or if the phone is not answered, leaving your name, contact number and a short message. They will then get back to you to arrange to take payment. Please ensure that you have secured a pitch on site before arranging to take payment. The machine is coin only – no notes. Please make sure you bring sufficient change with you if paying by cash. 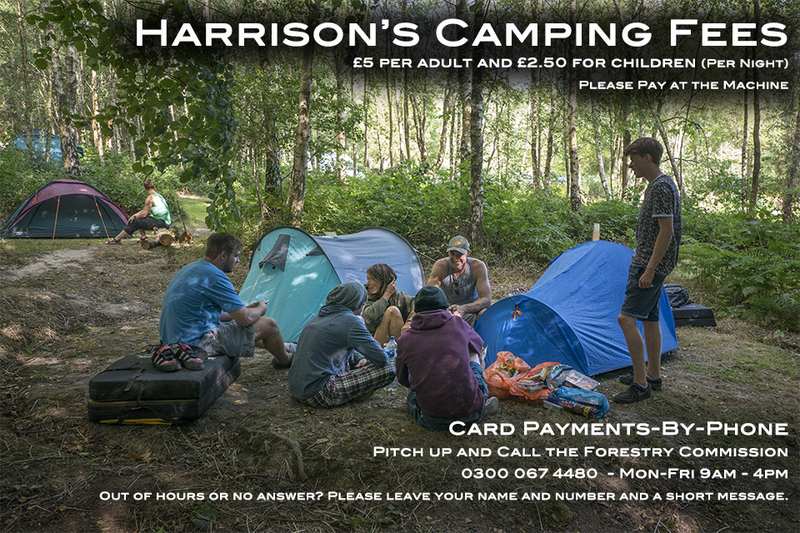 The Forestry Commission will check randomly to make sure campers have paid their camping fee and parking fees. All money received for camping and parking goes towards the upkeep of the toilet facilities and car park, so please make sure you pay your share so these facilities can continue to operate. Camping £5 per adult and £2.50 for children (per night).